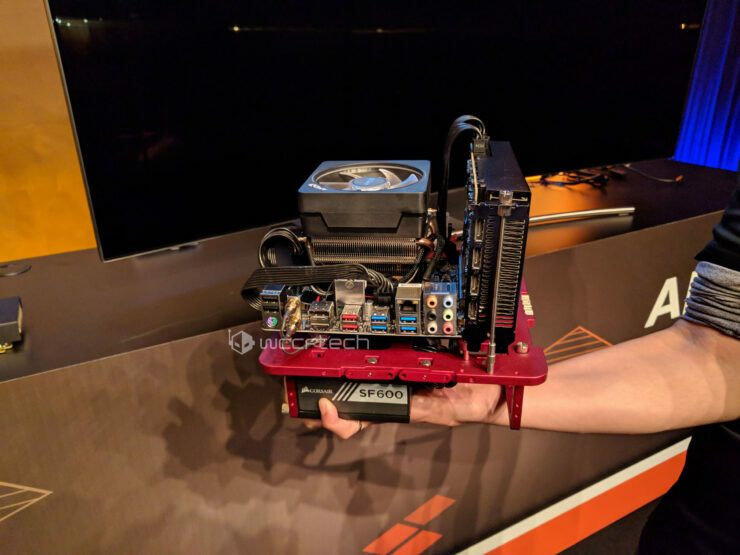 AMD officially announced the Radeon RX Vega 56 Nano at Computex 2018 this year and its time we posted close-up shots of this tiny card. Nano editions have been pretty popular before and if the company is able to ship this in volume, this could be too. The RX Vega 56 Nano is based on the 14nm FinFET process and should contain around 3584 SPs contained in 56 CUs. The clockspeed is the major variant here, but the base clock should still be above the 1000 MHz mark with turbo touching 1250-1300 MHz. The card features an 8+6 pin solution for power which should be more than adequate for supplying any amount of wattage the card requires and a single fan cooling solution keeps everything under control. 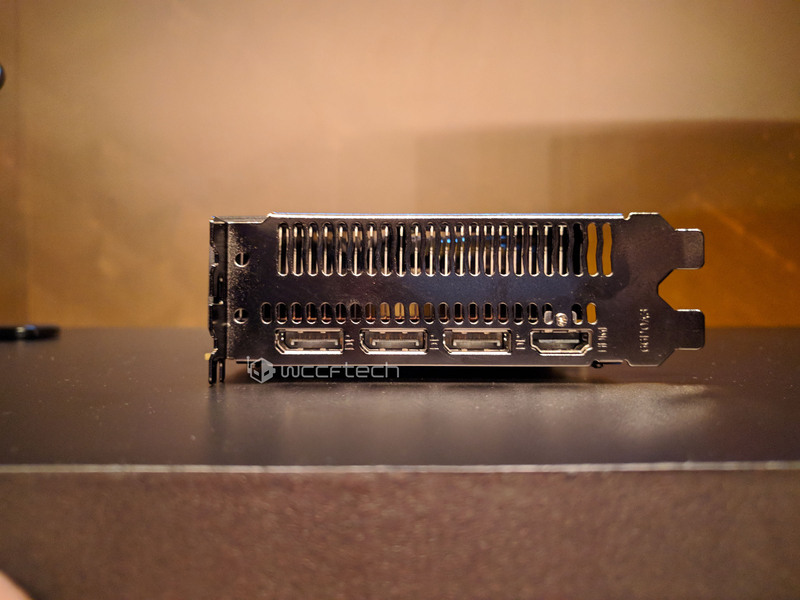 The card contains a very standard grill and 3 Display Ports + 1 HDMI Port affair at the IO side of things and will fit inside 2 slots of your casing. 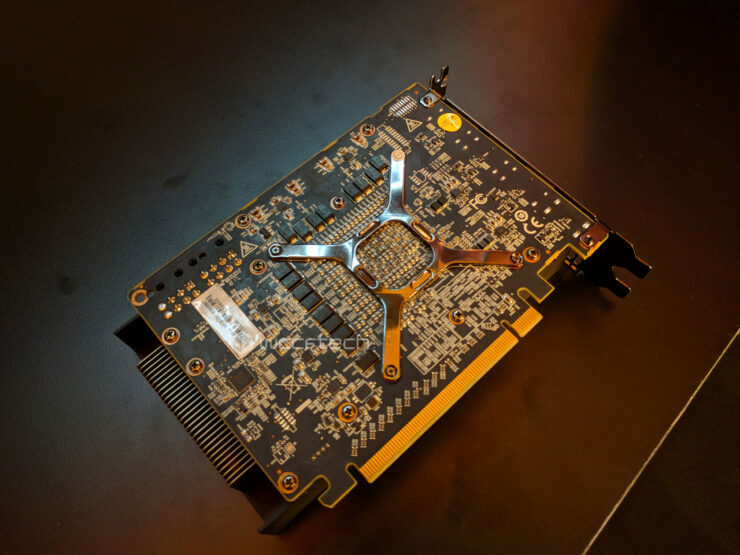 Unfortunately we couldn’t get our hands on a working demo at the booth but we did manage to take clear shots of the PCB as well as the Vega 56 in a working rig at the stall. 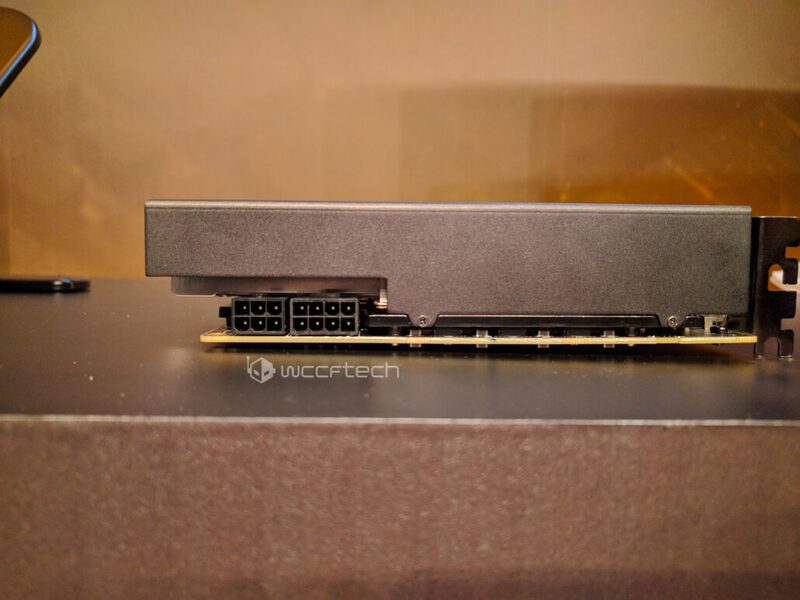 Here’s the interesting thing though, it appears that demand from AIBs is quite low as we did not see any other variants for this AMD product even though we had heard about the Sapphire RX Vega 56 Nano a while back. 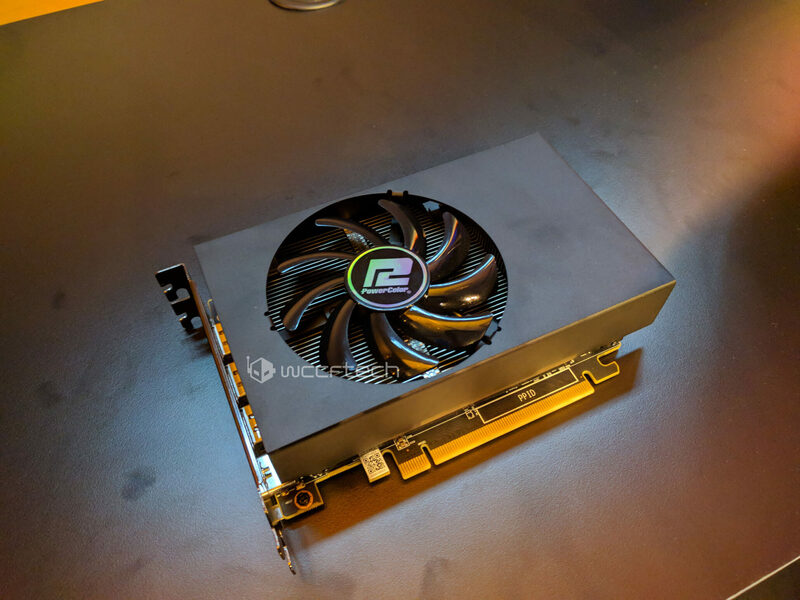 None of the major hardware vendors appear to have expressed any interest in the card and this could lead to further delays as far as the roll out for this particular GPU goes. It could also make availability of the Vega 56 Nano harder in some regions of the world where these niche AIBs do not operate in. 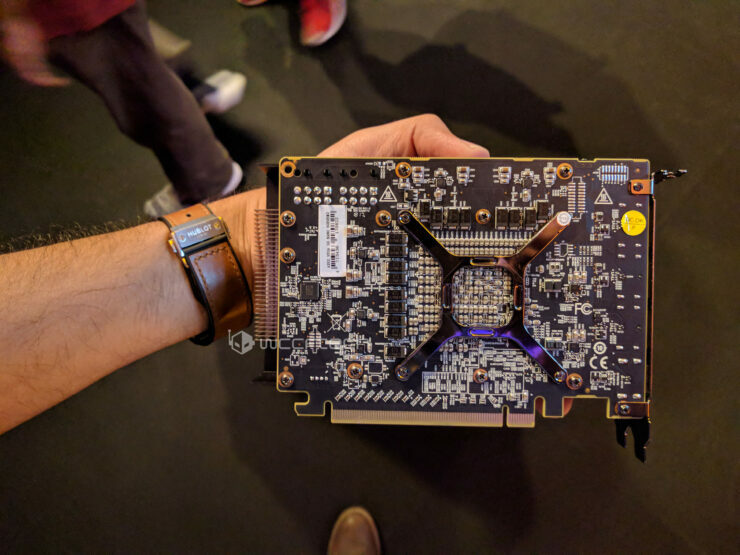 Unless you get MSI/ASUS/GB on board with the RX Vega 56 Nano, I don’t see this card hitting mainstream anytime soon.